Application: suitable for everyday use. Benefits: gentle cleansing without skin irritation; improves blood circulation and cellular metabolism; strengthens the hair follicles and hair itself; stimulates hair growth; prevents hair loss; provides elasticity and smoothness; gives a feeling of freshness; has strong antioxidant properties. Composition: aqua, sodium cocoamphoacetate, coco glucoside, sodium cocoyl glutamate, decyl glucoside, sodium stearoyl lactylate (natural emulsifier), fermented radish root, fermented coconut fruit juice, glycerin, gotu kola extract, sucrose cocoate, broccoli seed oil, sorbitol, guar gum, lavender oil, neroli flower oil, sweet orange peel oil, ylang-ylang flower oil, patchouli oil, cedarwood oil, menthol, potassium sorbate. Legends from the ancients tell us about the magical power contained in hair. The stories of Rapunzel, the biblical myth of Samson, the beliefs of Navajo Indians that in the hair are born thoughts and creative ideas... Are those stories fact or fiction? Well, after all, hair, just like skin, is one of the main indicators of the state of health, this is a scientific fact. Shiny and silky hair signals that all body systems are functioning normally. However, even if we take care of our own health, eat healthy and avoid stress, our hair can be damaged by bad ecology and improper care. Modern shampoos often contain extremely harmful synthetic compounds, such as sulfates, parabens and silicones. These substances have a short-term visual effect, but with regular use they destroy the structure of the hair, lead to dryness or excessive greasiness of the scalp, and can cause harm to the entire organism. Silk Dreams Shampoo is a 100% natural remedy and consists exclusively of the vegetable origin ingredients: soft hypoallergenic surfactants, herbal extracts and essential oils. The basis of any shampoo is detergents, or surface-active substances - they fight dirt and grease, and make a delicate airy foam. We use as surfactants only harmless natural compounds that do not dry hair, do not irritate the skin, and which are suitable for all hair types. For dry and normal hair, we created a special formula with Gotu Kola extract. In India and Indonesia, this plant is known as the "grass of Saraswati" - named after the goddess of knowledge and arts. 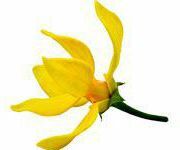 It has been used for thousands of years to stimulate the growth and improve hair sheen. 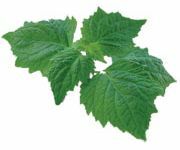 Gotu Kola is a powerful antioxidant with toning and rejuvenating properties. It improves blood circulation and cell exchange in the scalp, strengthens the hair follicles and the hair itself. It also prevents hair loss, and gives the hair elasticity and smoothness. The natural menthol, made from peppermint, in combination with essential oils of lavender, orange, patchouli and cedar, will give you a feeling of freshness and make your hair strong, soft, and manageable. Shake well before use. Apply to wet hair, massage gently to rich lather, and rinse with warm water. Sodium Cocoamphoacetate: Sodium Cocoamphoacetate is a plant origin surfactant based on coconut oil fatty acids. 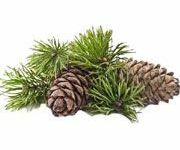 This absolutely harmless and hypoallergenic ingredient is widely used in "green cosmetics" instead of aggressive synthetic surfactants. It has very mild detergent properties, promotes foaming and gives a delicate texture to cosmetic products. As part of hair care products, it not only delicately removes dirt, but also acts as a conditioner. It restores damaged hair structure, improves elasticity, moisturizes, enhances shine and makes styling easier. When contacted with the skin, it gently cleans it, promotes deeper penetration of the active components of cosmetics into the horny layer of the skin. It forms an invisible lubricant film on the skin surface, which protects against dehydration and adverse effects of the external environment. Ideal for all skin types, especially sensitive and problem skin. Palm Kernel/Coco Glucoside: Coco-Glucoside is a very delicate, non-ionic surfactant, derived from plant ingredients. It is produced by fermenting the coconut pulp (or coconut oil) and fruit sugar (glucose). In natural cosmetics, Coco-Glucoside is used as cleaning agent, foaming agent, emulsifier and conditioner. As a part of a whole range of cosmetics, e.g. shampoo, shower gel, bath foam, liquid soap, facial foam, it helps to mix water and oil components, gently removes dirt, and creates soft, lush, foam. Due to its gentle effect, Coco-Glucoside is an ideal ingredient in cosmetics for sensitive and children's skin. It moisturizes and cares, making the skin smooth, and hair - radiant and silky. It is an ecologically friendly and completely biodegradable product. Sodium Cocoyl Glutamate: Sodium Cocoyl Glutamate is a mild surfactant of plant origin, obtained by the synthesis of glutamic acid and coconut oil fatty acids. The importance of glutamic acid for the body is difficult to overestimate: it promotes the production of histamine and serotonin; neutralizes and removes ammonia and other toxins from the body; in addition, it is a neurotransmitter, participating in the process of transmission of nerve impulses in the brain. Glutamic acid is indispensable for the skin health and normal functioning: it stimulates cellular regeneration, microcirculation and collagen synthesis; strengthens the protective layer of the epidermis and hair; it moisturizes, cleans, and narrows the pores. 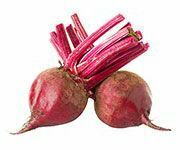 This amino acid has an antioxidant, healing, anti-aging and anti-inflammatory effect, it softens the skin and increases its elasticity. Sodium glutamate cocoyl, as a derivative of this acid, has the same benefits. It is used as a foaming agent, mild detergent, and emulsifier in cosmetic products, such as facial foam cleansers, shampoos, hair conditioners, and cosmetics for kids. Sodium cocoyl glutamate slows the oxidation of lipids of the skin and maintains its protective functions. It normalizes the pH level, gives the skin softness and silky smoothness, gently cleanses impurities, and creates an invisible protective film on the surface of the epidermis, preventing evaporation of moisture. This eco-friendly and biodegradable ingredient, due to its antibacterial properties, allows to reduce the amount of preservatives in cosmetics. Decyl Glucoside: Soft non-ionic surfactant is prepared from coconut fatty acids. Ideal for children's sensitive skin, as its composition has active ingredients that soften skin effectively and possess good foaming properties. Sodium Stearoyl Lactylate: Sodium Stearoyl Lactylate is a multifunctional surfactant of plant origin. It is most commonly derived from fermented sugar beets, vegetable oil, and palm sugar. In chemistry, it is the ester of the sodium salt of stearic and lactic acid; it is used in detergents, various shampoos, cosmetic creams and food. This additive is absolutely harmless to human health, both for internal and external use. Clinical studies have recognized this substance as non-toxic and hypoallergenic, because both lactic and stearic acids are the usual products of human metabolism. In cosmetics, Sodium Stearoyl Lactylate acts as an emulsifier; it helps otherwise immiscible ingredients, such as oil and water, to mix with each other. In addition, it promotes deeper penetration of the cosmetic active components into the skin, and it also is an excellent emollient and moisturizer. Lactobacillus/Coconut Fruit Juice Ferment Filtrate: A sip of a fresh coconut juice on a hot tropical afternoon – that is the heavenly delight! Invigorating and gentle as a cool sea breeze, coconut juice instantly quenches thirst and rejuvenates the body. 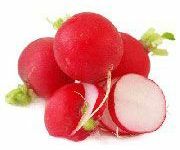 Its’ high nutritional value and energizing effect owe to its unique combination of amino acids, vitamins, and minerals. Useful properties of coconut juice do not end there: researchers have found that being fermented, coconut juice is able to maintain the freshness of natural cosmetics. This natural preservative, obtained by fermentation of coconut juice by Lactobacillus bacteria, provides protection for cosmetic compositions from the growth of fungi, yeasts and molds. Such a powerful antimicrobial action is based on the alliance of triglycerides of lauric acid contained in coconuts and lactic acid bacteria, which produce special substances that inhibit the growth of microorganisms. 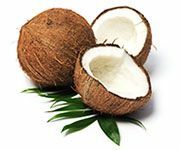 In addition, as a cosmetic ingredient, fermented coconut juice moisturizes and nourishes the skin; saturating it with useful micronutrients. It is ideal for sensitive skin that is prone to irritation, as its soft formula does not dry the epidermis. Vegetable Glycerin: Our glycerin derived from coconut oil has nothing to do with glycerin obtained by chemical synthesis. Hypoallergenic with good skin penetration are all a very important qualities: attracts water from the outside, even at relatively low humidity. Used to increase the capacity of moisturizing ingredients included in the recipe and improving the penetration of active substances into the deeper layers of the skin. 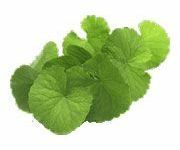 Centella Asiatica Extract (Gotu Kola): Gotu Kola is an Indian plant, which has traditionally been used by the local population for the treatment of nervous system and as a healing agent for the treatment of skin diseases. Extract of the plant contains triterpenes and asiaticoside which influence the metabolism of connective tissue, increase the synthesis of tissue proteins, increase the activity of fibroblasts and stimulates collagen formation around the venous sheath, thereby providing a regenerating and venotonic effects. Active substances in gotu kola improve wound healing, epithelialization and support normalization of vascular connective tissue, allowing you to increase tone thus improving the look of the skin. Sucrose Cocoate: Sucrose Cocoate is a polysaccharide, a derivative of sucrose esters and coconut oil fatty acids. It is obtained from natural sugar (most commonly cane or beet sugar) and coconut oil. This substance has become widespread in "green" cosmetics due to its very gentle and delicate action. In composition of hair-care products, Sucrose Cocoate has conditioning and antistatic effect, it promotes smooth combing, making your hair silky and shiny. In body and facial creams, lotions and cleansers, it prevents skin dryness and peeling. 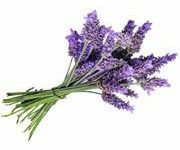 In addition, it softens, relieves itching and soothes the skin. Moisturizing benefits are provided due to the properties of polysaccharides: in connection with water, they form an invisible film on the surface of the skin or hair with high moisture retention capacity. As an auxiliary component, Sucrose Cocoate acts as an emulsifier and stabilizer, mixing the oil components with water and preventing the separation of the emulsion created by it. It also promotes the formation of a thick, but soft and gentle foam, and increases the viscosity of cosmetic products. As a natural emollient and refatting component, it provides an accelerated recovery of the skin barrier after cleansing; it prevents the removal of vital structural lipids from the epidermis; gives the skin and hair a well-groomed appearance, smoothness, elasticity, and silky smoothness. It is a completely biodegradable product. 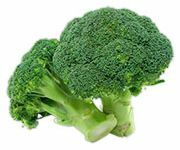 Brassica Oleracea Italica Seed Oil (Broccoli): We call broccoli a queen in the world of vegetables, with its bright green inflorescences in the shape of a crown. Juicy and crispy, broccoli is the record-holder for the content of vitamins C, K and A, which are vastly important for proper blood circulation, tissue growth, acute vision, skin elasticity, protection from infections, and immune system reinforcement. In medieval Europe, this plant was called "Italian asparagus". Its homeland is in the territory of modern Italy, where broccoli has been harvested since the Ancient Rome era. In the twentieth century, scientists studied the chemical composition of inflorescences and seeds of this cabbage; they found a high concentration of proteins, vitamins and minerals, such as calcium, iron, magnesium and phosphorus, as well as a unique combination of fatty acids. Main role in this composition is played by Omega-6 unsaturated fatty acids, called erucic and linoleic. They are responsible for reducing cholesterol and maintaining the level of glucose in the blood, strengthening immunity, reducing inflammation, and preventing cancer. Linoleic (Omega-6) and linolenic (Omega-3) fatty acids are the strongest antioxidants, they help us stay young, and prevent skin problems such as eczema, dermatitis, flaking, as well as hair breaking and hair loss. Broccoli seed oil, especially cold-pressed, is created by nature to maintain beautiful hair: it is capable of restoring damaged hair, strengthening brittle, dry and split strands, nourishing hair follicles, and scalp care. Cosmetics with broccoli oil can replace harmful synthetic hair silicones. This oil creates an invisible protective film on the surface of each hair, helping it to remain moisturized, smooth and shiny. At the same time, it has a very light texture, with no greasy feeling; it does not weight hair, and no rinsing required. Broccoli oil is hypoallergenic, and suitable for all skin and hair types. Sorbitol: Many people know that sorbitol (or sorbit) is used as healthy substitute to regular sugar in diet beverages and food. 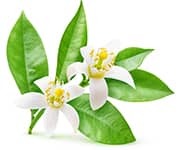 However, this substance is also widely used in cosmetics: shampoos and hair conditioners, body and facial creams, after shave lotions, toothpastes, and soaps. 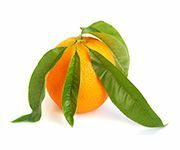 Sorbitol, less commonly known as glucitol, is a natural substance found in starchy berries and fruits: rowanberries, plums, apples, pears, peaches, and some types of seaweed. For industrial purposes, the most common natural source is corn or tapioca. In its chemical composition, sorbitol is a polyatomic sugar alcohol. One of the most interesting properties of sorbitol is hygroscopicity, that is, the ability to derive water from the environment. 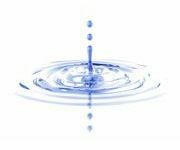 In fact, sorbitol retains water on the surface of the epidermis, helping the skin maintain its own moisture reserves. It is best performing in conjunction with other moisturizing ingredients in cosmetic composition. In addition, it prevents premature hardening and drying of cosmetics. Sorbitol softens and moisturizes the skin, removes peeling, and prevents inflammation. As an ingredient in shampoo, it cares for thin and damaged hair, improves their condition, and returns shine. It has excellent conditioning properties. Also, sorbitol can act as a natural thickener, emulsifier and stabilizer, improving the texture of cosmetic products, giving them softness, velvetiness, and a pleasant sweet fragrance. Guar Hydroxypropyltrimonium Chloride: On the territory of India and Pakistan for many thousands of years, an annual legume, known throughout the world as guar or cluster bean, has been harvested. In ancient times, the guar seeds have been used for food due to their high nutritional value. In modern industry, this plant is more valued as a source of guar gum. 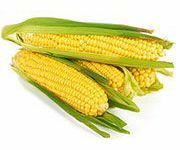 It is obtained from the internal part of the seeds, called endosperm, by simple mechanical grinding, without the use of any chemical processes. Chemically, guar gum is a polysaccharide, and a key role in its composition is played by galactomannan – a substance that creates a thick, viscous gel upon contact with water. 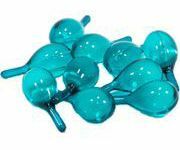 Such gels in the cosmetic and food industry are called hydrocolloids; with proper application they are absolutely safe for human health. In cosmetics, guar gum acts as stabilizer, thickener and co-emulsifier. In emulsions, it helps to mix and stabilize water and oil base, gives a delicate creamy texture, regulates the viscosity, and has light preservative properties. In facial and body creams and lotions, guar gum cleanses, moisturizes, and softens the skin, creating a thin protective film on the surface of the epidermis. As a result, the amount of evaporated moisture decreases, and skin looks deliciously well-groomed and silky. In shampoos and hair conditioners, guar gum protects the horny layer of the skin from the aggressive action of surfactants, preventing the elution of organic lipids. Also, guar gum acts as antistatic agent, foaming agent and natural conditioner, giving the hair smoothness, volume, easy combing and styling. Guar hydroxypropyltrimonium chloride (GHPT) is a derivative of guar gum with the same set of beneficial properties. It is a safe, eco-friendly, completely biodegradable substance of plant origin. Menthol: Do you remember those delicious tongue-tingling mint sweets from your childhood? Mints and peppermint candies, mint gingerbread, mint syrup... Menthol is a component of peppermint essential oil, derived from fresh mint leaves. Its recognizable, chilling flavor has not only tonic and refreshing properties, but it also can act as an antiseptic, anti-inflammatory and anesthetic remedy. Crystals of menthol are used widely in food industry, pharmacology and cosmetology. Menthol, obtained naturally from plant materials, improves blood circulation, has relaxing effects on muscles and the walls of blood vessels. It eliminates toxins, reducing itching, irritation, and allergic reactions. 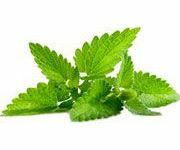 As an ingredient in various skin and hair care cosmetic products, menthol inhibits the activity of the sebaceous glands, narrows the pores, normalizes the nutrition of the hair follicles, gives a feeling of freshness, lessens eye contour puffiness, relieves stress, and helps to heal sunburns. The magical power of menthol will soothe oily and inflammation prone skin; for mature skin it will help to restore its tone and radiance. Potassium Sorbate: Potassium sorbate is a healthy preservative of plant origin, often used in cosmetology and in the food industry. 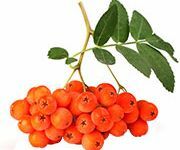 This substance was discovered in the middle of the 19th century; in the wild, it is found in rowanberries. By its chemical composition, it is the potassium salt of sorbic acid, which is not toxic even when ingested. In vivo, this acid simply decomposes into water and carbon dioxide, as well as any polyunsaturated fatty acid. The ability of potassium sorbate to fight against aerophilic bacteria, mold, yeast and other pathogenic microflora has made it an indispensable ingredient for a wide range of cosmetic products, such as facial and body creams, lotions, hydrolytes, make-up, shampoos and hair conditioners. In addition, this component has moisturizing and emollient properties, so its use in small doses positively affects all skin types. It is not an allergen, and it is approved as a harmless ingredient in most countries, particularly in the European Union, the USA, Russia, Australia, and New Zealand.